Lane Head Apartment offers weekly bookings starting on Saturday and sometimes short breaks. 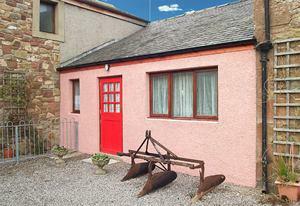 Two bedrooms, 1 downstairs, lounge/diner, kitchen and downstairs shower room and toilet. Travel cot. Lane Head Apart offers weekly bookings starting on Saturday and sometimes short breaks. There is a patio area available to guests. Children welcome from any age. From the M6 jct 41 and follow the B5305 for about 20 miles to the A595. At the T-junction turn left onto the A595, signposted Cockermouth, and 2 miles further on is the left turn for Bolton Low Houses. Go into the village and turn left at the Oddfellow's Arms and continue up to the school.